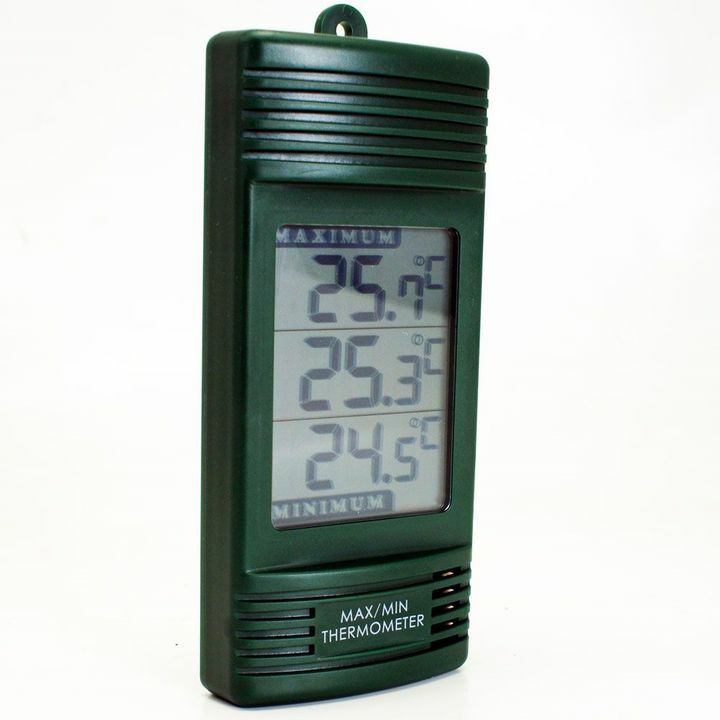 This stylish thermometer features a large LED display that simultaneously displays the actual as well as the max and min temperatures. 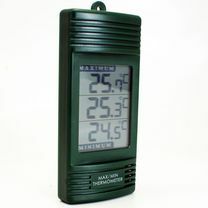 It measures temperature over the range of -20 to 69.9 °C with a 0.1°C resolution. The unit is housed in a case measuring 79 x 182 x 29mm (3 x 7¼ x 1¼"), which incorporates a slot for hanging. Powered by a single AA battery (supplied).